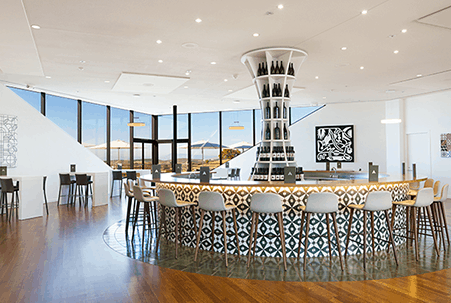 Artesa showcases our incomparable estate with wines and stunning views from our elegant, modern winery on a hilltop overlooking vineyards and the San Pablo bay. hospitality team. Your event will delight your guests and surpass your expectations. NO DETAIL TOO SMALL. NO STONE UNTURNED. In addition to your guests receiving exclusive access to our limited wines and picturesque winery, we take care of every detail: Professional event planning and assistance, votive candle decor, tables, chairs and stemware, setup and breakdown, personalized printed menus, and educational winery tours. 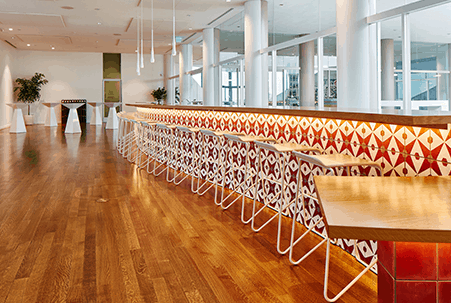 Artesa’s Salon is the primary tasting room by day and can be transformed into an elegant dining room for any evening event. The uniquely situated room can accommodate small parties or large groups and features exquisite views from the adjacent terrace. The terrace and open-air courtyard border it and may be used in conjunction with the Salon as reception spaces. The Courtyard is located in the center of the winery. 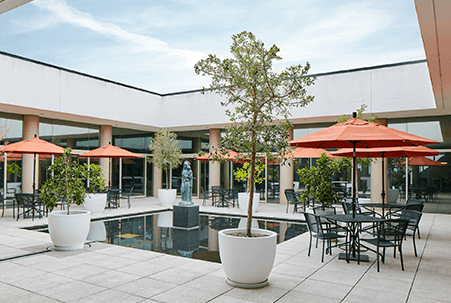 It features an historic statue of the Harvest Madonna in the courtyard’s reflective pool. A soothing sculptural fountain enhances the ambience. Glass walls surround the Courtyard offering views of the surrounding galleries. Located at the entrance of the winery, the Foyer is an expansive space with views of the courtyard, salon, and front lawn. 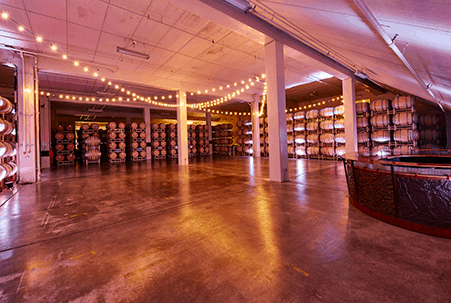 Artesa’s cellar barrel room can be customized for larger groups. The ambiance and surrounding French oak barrels provides a dramatic backdrop for elegant catered dinners and presentations. It can easily accommodate larger groups.